For your Aloha Monday, we are under a typical trade wind pattern with lots of leeward sunshine and a few passing windward and mauka showers. This trend will last through Tuesday before we begin to see the trade winds disrupted by Wednesday. 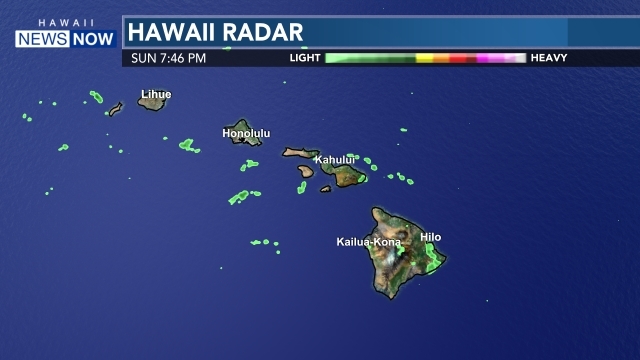 The atmosphere begins to become more unstable and some weather models are showing periods of heavy rain over mauka locations on Wednesday and Thursday. The winds will be light to variable to begin with and then they will be more northerly later this week. We are also tracking an upper level disturbance that will keep our atmosphere fairly unstable later into the weekend. Some models show that this upper level disturbance becomes a cut-off low. A cut-off low is associated with cold air aloft and has the potential to trigger heavy showers if it is close enough to the islands. It highly depends on how close it gets to Hawaii. Right now, it appears just north of the islands on Sunday. 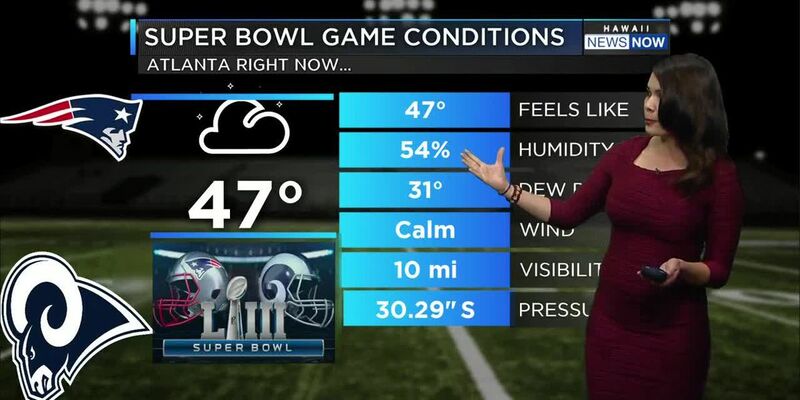 The forecast will need to be adjusted each day. We are also tracking a series of moderate swells this week that will be under advisory levels for north and west shores. By the end of the week, a very large NW swell. By Friday it will peak, however, it will be coupled with gusty winds making for stormy seas. The NWS will likely issue several ocean alerts by mid-week into the weekend. A moderate west-northwest swell expected by Wednesday will lead to rising surf along north and west facing shores. Surf should remain below advisory levels. Surf may near advisory levels for east facing shores Wednesday night through Thursday night as a long-period northeast swell arrives. Rough conditions are expected along north and west facing shores Friday into the weekend due to a combination of moderate to strong northerly winds and a large northwest swell. Surf will likely exceed warning levels for north and west facing shores Friday.